See the 3D Virtual Tour! Looking for horse property, room for a shop or RVs? This beautiful home in Bridle Path has so much to offer! Much of the home is freshly remodeled. Hardwood flooring throughout family & living rooms, kitchen & halls. 2 fireplaces (1 gas & 1 wood-burning.) There is a junior master suite. Master bathroom has a walk-in shower & oversized garden tub. New paver patio in back. 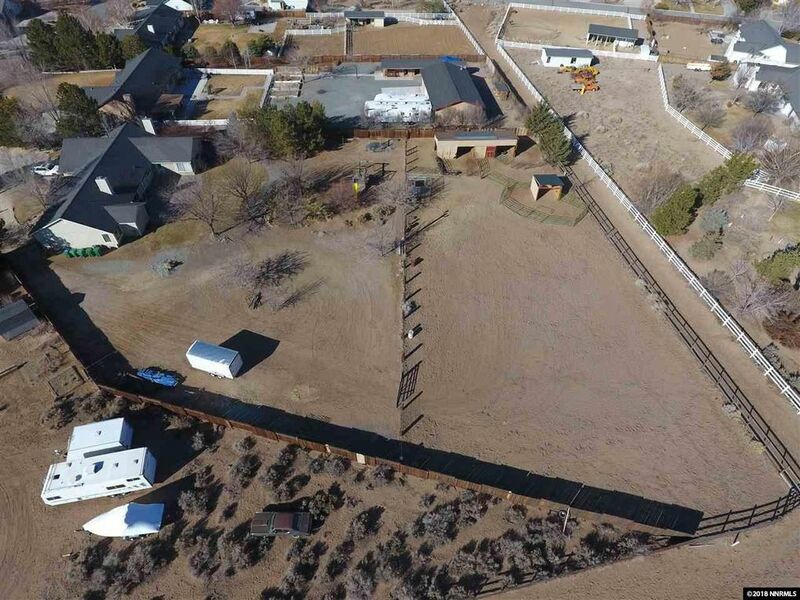 Horse corrals, riding arena, 2 outbuildings, lighting and water service. Private gate to the common areas, too!. The Bridle Path HOA offers riding paths & a common arena. New tile flooring in the Junior Master, and a great antique dresser-vanity with copper sink. The kitchen, bar and pantry were refinished for a great country look. Kitchen appliances are stainless steel. Large laundry room with cabinets and a deep utility sink. Most of the lighting and door hardware have been upgraded. Rock fireplace surrounds were recently installed. Decorative oak front door. All closets have wire shelving organizers. The master bathroom has been upgraded with an oversized walk-in shower and large scalloped tub for soaking. The bar in the kitchen is prepped for a sink. Family room is prepped for surround sound. 2" faux wood blinds throughout home. New rain gutters. Mature trees, Wisteria vines and shrubs. The yards have automatic sprinkler & drip systems. Water circulating pump. Water heater was installed in 2011. 2-zone heating and air conditioning. Some hardwood flooring is new, and the rest was recently re-finished to match. Septic system was pumped and inspected 2 months ago.